Greg's Welding Inc. offers a wide variety of roustabout services including backhoe services, oilfield location construction, Ceram-Kote for fire tubes, Amercoat treater and tank coating, and H2S bed changes. Backhoe services are vital for any construction project. This excavation equipment has the ability to prepare roads and sidewalks, dig trenches, and serves other demolition and construction purposes as well. Whatever your project, Greg's Welding Inc. will help you tackle it. Firetubes are constantly exposed to extreme heat and other conditions that can interfere with the longevity of the tube. 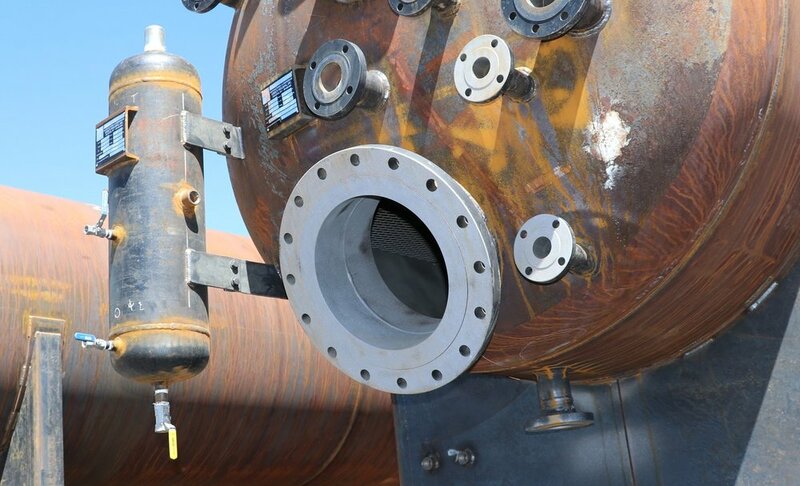 Greg's Welding Inc. offers Ceram-Kote coating services to ensure that your firetubes are protected from extreme conditions, extending the lifespan of the firetube without ruining it's integrity. Amercoat is an epoxy coating that adheres to and protects steel surfaces from abrasion. Greg's Welding will coat your treaters and tanks for you. Using this durable coating, we ensure that your treater or tank can withstand weather and other conditions that would otherwise wear on the tank or treater and shorten its lifespan. With an experienced crew and an extensive fleet of equipment, Greg's Welding Inc. offers many location construction services to their oil industry customers. From clearing sites to building roads and much more, we prepare your site so you don't have to! H2S or Hydrogen sulfide is often present in crude gas and petroleum. H2S is very toxic and can be especially dangerous in high concentrations. Gas is filtered through H2S beds that use metals such as iron oxide filter and remove H2S from the gas. However, these H2S beds need to be changed when H2S levels begin to increase in the gas, indicating the end of its lifespan. Greg's Welding is capable of safely changing H2S beds to ensure the H2S is being safely removed from crude gas.